Is Your Vegetable Garden Water-Wise? Last chance to join in! 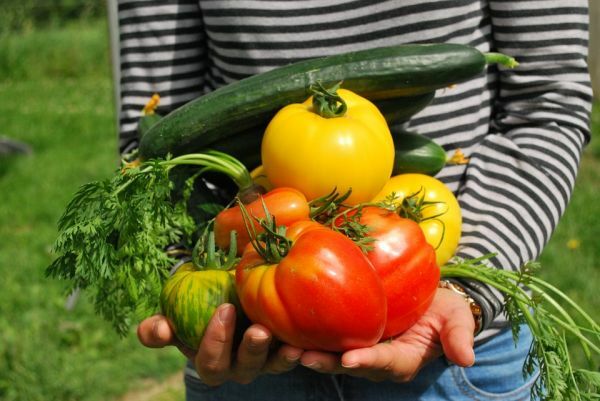 Your vegetable garden can yield abundant organic veggies, shade your home with productive fruit trees, provide homes for pollinating insects, sequester CO2, beautify your home, and provide countless hours of satisfaction and contentment … all while making the most of every drop of water. On Sunday June 5, I’ll teach you how to design your vegetable garden for Water Wisdom. I’ll share with you how to select plants which can put up with heat and drought, and still give you great yields and wonderful flavor. We’ll work with hydroscapes, and discuss how to nurture your plants to be less thirsty, and how to build awesome, water-retaining soil. We’ll check out two versions of flowerpot ollas that you can build yourself. We’ll talk aboutrainwater harvesting: how to integrate rainwater into your garden, if you collected it this past year, or how to plan for it in future years. And we’ll touch on the use of greywater in a productive landscape. The next Community Bake at the Westchester Community Oven is scheduled for Saturday June 11- save the date!